Introductory training on new CNC machinery or technical updates is available to both new and existing customers and ongoing support and advice is on hand. CNC requires certified training for all staff use. The VWM Technology trainers cover all the necessary technicalities and recommend tips to get the best out of the machinery and the best product results. Ongoing support is available through service contracts, and new staff can receive training on existing equipment where required. 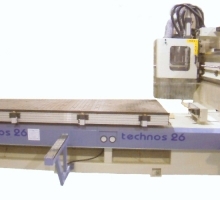 Here at VWM Technology we also carry out CNC machine tool training on leading makes of controllers such as Bosch,Osai and LNC we also do software training and support Licom and Delcam packages.